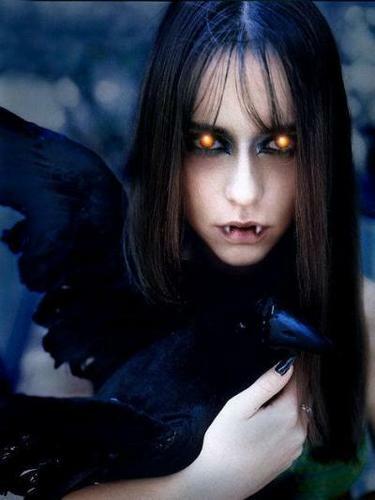 Vampire Girl. . Wallpaper and background images in the Vampires club tagged: vampire image vampyre horror vampires. This Vampires photo contains kraai, amerikaanse kraai, corvus brachyrhyncos, amerikaanse crow, raaf, corvus corax, and raven. There might also be postduif, vervoerder pigeon, postduif, homer, and duif.